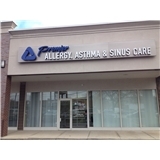 Premier Allergy, Asthma & Sinus, S.C. (Chicago) - Book Appointment Online! Premier Allergy, Asthma & Sinus, S.C.
We are dedicated to providing expert individualized care for adult, adolescent and pediatric patients who suffer from allergy, asthma and/or sinus problems. We utilize the most advanced testing and treatment methods in order to reach an accurate diagnosis and to provide our patients as promptly as possible with the relief they need, and to allow them to return to a fully functional life. And we listen. It is imperative that we understand our patients' symptoms, and that our patients understand their diagnosis, so as to maximize the efficacy of the medical treatment we provide. Some of the conditions we treat are itchy watery eyes, runny noses, sneezing, coughing and wheezing, as well as allergic swelling, potentially life-threatening allergic reactions, and allergic skin diseases such as eczema, hives and contact dermatitis. *Initial visits are very comprehensive, please allow 3 hours. Fantastic, very caring and understanding.